In May of this year, the Porsche location in Saxony set up 25 bee colonies in the factory’s off-road area. The honey is even available in the Porsche Leipzig customer centre shop under the name “Turbienchen”. The honey bees will spend the upcoming winter months in the off-road area before appearing again in the spring. “We will continue the initiative next year and we are planning to expand it. Our nature reserve offers the ideal conditions for bees”, says Gerd Rupp, Chair of the Executive Board at Porsche Leipzig GmbH. Bees are some of the most important productive creatures in Germany but are severely endangered. They pollinate most of the country’s agricultural crops. Environmental factors such as pesticide residues, bacteria, viruses and parasites have threatened bee populations for decades. In addition, there has been a gradual loss of natural bee habitats. As they are so important in ensuring biological diversity, bees are protected in Germany by the Federal Nature Conservation Act and the Federal Species Protection Regulations. 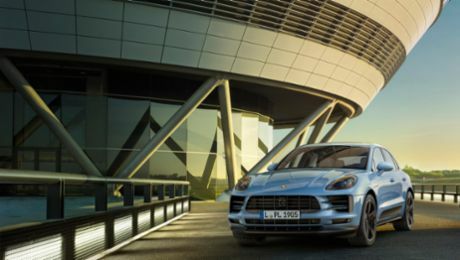 The sustainable pasture concept at Porsche Leipzig is unique in the automotive industry. 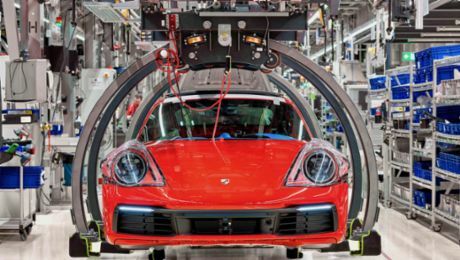 In addition to the honey bees, Porsche established colonies of Exmoor ponies and aurochs in the factory’s off-road area as long ago as 2002. The 132-hectare nature area is also home to many other wild animals, including various species of birds, amphibians, hares, deer and bats.